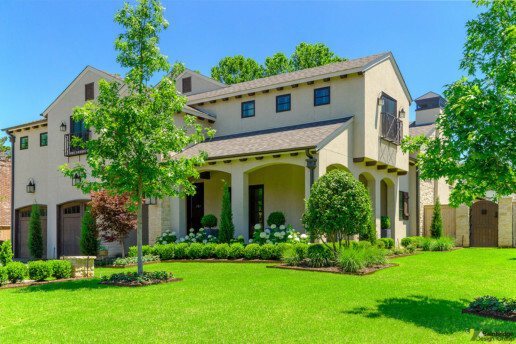 From the series of low pitched gable ends with soffit brackets all the way around the perimeter to the secluded courtyard on the side of the home, this residence has many characteristics of a great Spanish Colonial. It also features a row of high windows around the upper level to bring in natural light while still maintaining privacy. The cantilevered upper level room with thick support brackets on the side of the home is another feature that catches the eye.